Is a lack of storage space at home cramping your lifestyle? Nowhere to keep your snowboard AND your mountain bike at the same time? What else could I get up to if I just had somewhere to securely store my stuff? Luckily, we’ve come up with a short list of things that could help you get out and about, and keep your home clutter-free. 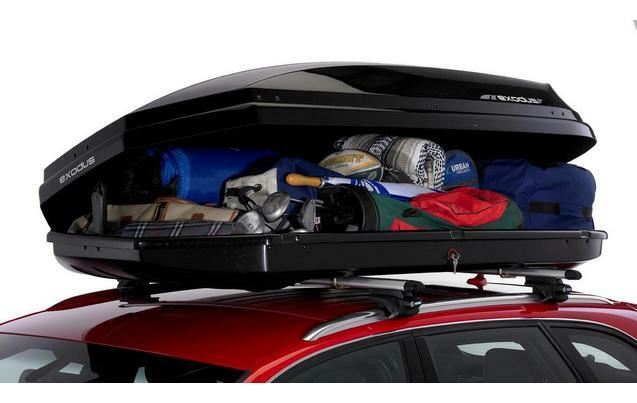 Perfect for long summer road trips, a roof box for your car can give you more storage space and a little more leg room for the journey. You could also use them to keep messy items like beach toys away from the upholstery in your car. Nowhere to keep it at home? When it’s not in use, why not save a lot of space and on fuel costs by putting it in storage? Great for summer barbeques, road trips, and absolutely essential for music festivals, the old cooler box is a firm favourite and a super useful way to keep your drinks cool and your food fresh when you’re on the go. The downside is finding somewhere to keep them during the winter months. Is your cooler taking up much-needed space at the bottom of a cupboard? It could live somewhere else until spring! Are your bulky winter clothes cramping your summer style? Not enough space in the wardrobe to add to your amazing collection of Hawaiian shirts? Are your summer dresses being pressed between raincoats and sweaters? You could vacuum pack or box up your clothes for the season and get them right out of the way while they’re not needed. Leaving the city over summer but don’t want the hassle of moving everything back to uni in the new term? Whether you’re returning home or moving between accommodation, you could leave them in storage for the summer months, packed up safe and secure await your return next term. So, where can you stash your gear when you don’t need it? What are your options for accessible seasonal storage? Here at Aabsolute, self-storage is a more affordable solution than you may think.